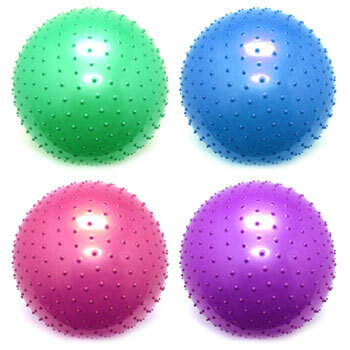 24 inch (two feet) diameter inflatable knobby balls in assorted colors. Air pump with needle included! Sold by the each. $6.85 each for 36 or more.